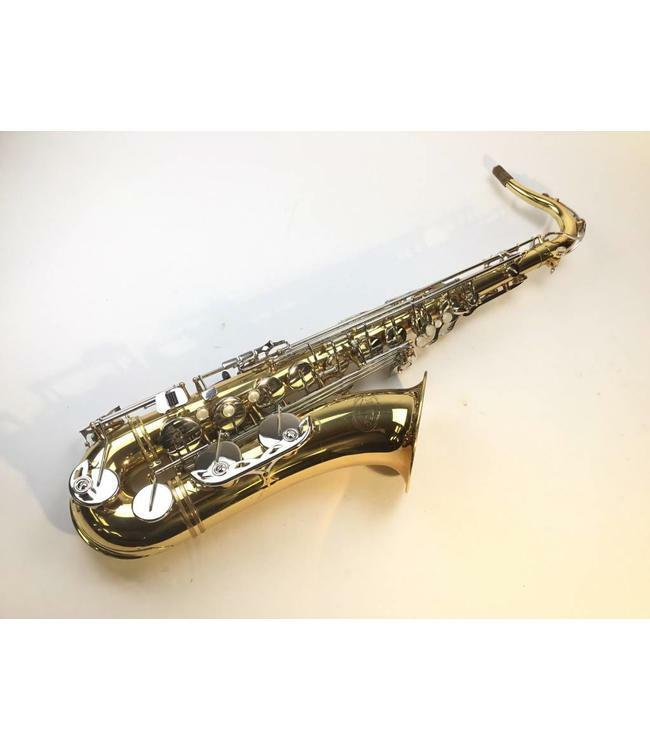 Used Jupiter YTS-687 student model tenor sax. Pads and corks in good condition. Gold lacquer with nickel silver keys. Very small ding in stem just above Eb key. Slight lacquer wear and surface scratches throughout. Plays very well top to bottom. Comes with original case.